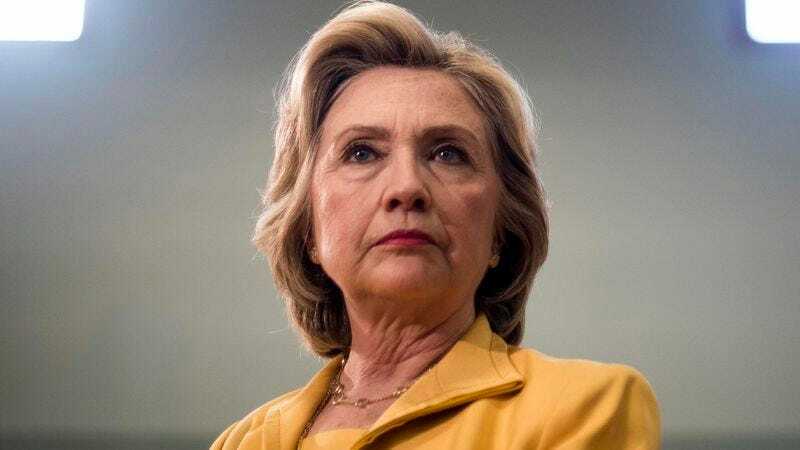 WASHINGTON—Amidst a recent decline in support from likely primary voters, presidential candidate Hillary Clinton was assured by campaign staffers Monday that her drop in the polls was merely an indication that people have not yet abandoned their ideals. “Don’t worry, voters are just hesitant to give up on their most cherished principles at this point in the race, but give it a few months,” said Clinton aide Patricia Bartley, reassuring the current Democratic frontrunner that surging support for Bernie Sanders would plummet once people discarded their dream of electing a leader as committed to progressive ideas as they were. “By January, when almost all Democrats have bitterly come to accept that anything less than forfeiting what matters to them most will probably put Jeb Bush in the White House, they’ll be back on your side.” Bartley went on to say, however, that there might be cause for concern if voters were still somehow clinging to their deep-seated convictions this time next year.